On April 19, 2019, H.E. 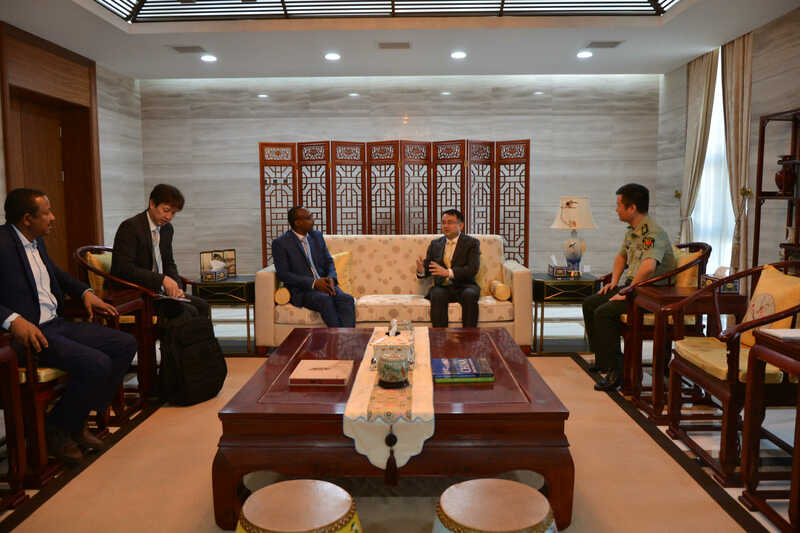 Hua Ning, Ambassador of China to South Sudan, met with Maj Gen. Desta Abiche Ageno, Chairperson of Ceasefire and Transitional Security Arrangements Monitoring and Verification Mechanism(CTSAMVM). Brig. Gen. Feng Bo, Military Attache of the Chinese Embassy, was present at the meeting. Maj Gen. Desta extended warm welcome to Ambassador Hua for assuming his new role in South Sudan and commended China for its support to CTSAMVM. He hopes to work with Chinese side to make further contribution to South Sudan’s peace process. He also briefed the Ambassador on the work of CTSAMVM and latest situation of South Sudan’s peace process. Ambassador Hua said that CTSAMVM is one of the major monitoring mechanisms for the implementation of RARCSS and plays an very important role in the peace process of South Sudan. China will continue to support CTSAMVM within its capacity.